CAMP KANGLEON, Palo, Leyte – In yet another effort to ensure a secured and fair elections come May this year, some 100 bikers from different bikers clubs in the region participated in the Police Regional Office 8 (PRO8) Peace Caravan for SAFE 2013 on Sunday morning which kicked-off from Calbayog City and Calbiga town and ended at the Catbalogan City plaza, all in Samar province. “The support and participation of the bikers is a welcome development and exemplifies a good partnership from various sectors of society and PRO8 in attaining SAFE 2013,” said Police Chief Superintendent Elmer Ragadio Soria, PRO8 Regional Director. Soria added that the activity aimed to promote awareness among the electorate and political candidates in securing vital support to ensure secured and fair elections in Samar province, one of the identified priority areas for the midterm polls. Participating bikers representing the Samar Off-Road Bikers Association led by its president Mr. Ashley Albaña and DILG Northern Samar Provincial Director Valentin Bajet led the bike tour from Calbayog City, some 72 kilometers to the convergence point in Catbalogan City plaza, at around 5:00 o’ clock early Sunday morning. Meanwhile, at around 6:00 A.M., bikers from Tacloban City Police Office (TCPO) Bikers Association led by PSSupt. Romulo Cleve Taboso, Samar Adventure Mountain Bikers Association headed by Mr. Joel Cinco and Catbalogan Bikers Association led by Mr. Aron Garcia also biked from Calbiga, some 44 kilometers to Catbalogan City. The caravan from Calbayog City passed through the municipalities of Sta. 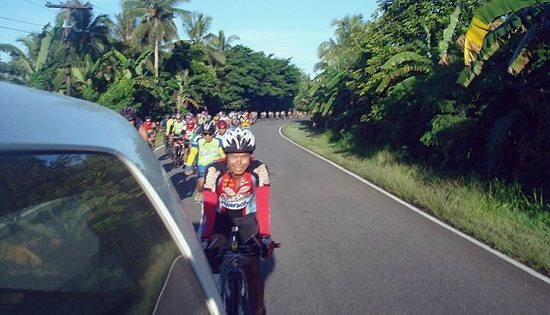 Margarita, Gandara, San Jorge and Tarangnan in the province’s first district while bikers from Calbiga passed through the towns of Hinabangan, Paranas, Motiong and Jiabong, all in the second district of Samar. After a simple welcome ceremony, the participants released white balloons symbolizing the advocacy of Secured and Fair Elections (SAFE) 2013. Soria added that the caravan forms part of the left-hand effort initiated by PRO8 to achieve peaceful polls, aside from conducting focused police operations. At the start of election period last January 13, PRO8 initiated the Peace Covenant Signing in Calbayog City with DILG Secretary Mar Roxas presiding and supported by the Roman Catholic church, other election stakeholders and the candidates themselves and on January 20, thousands of people actively participated in the PRO8-initiated Unity Walk and Prayer Rally for SAFE 2013 in Tacloban City in a show of full support in attaining a peaceful May 13 polls. Aside from peace covenant signings, unity walks and peace caravans that were also replicated in different parts of the region, other police-community relations activities like the conduct of candidates’ forum, peace dialogues, media engagements, coordinating conferences, voter’s education and house visitations are being initiated by different line units of PRO8, Soria added. PRO8 Director PCSupt. Elmer R. Soria addressing the policemen who will be deployed to Samar provinces during the send-off ceremony on Monday afternoon at PRO8 Caboboy Multi-Purpose Hall. 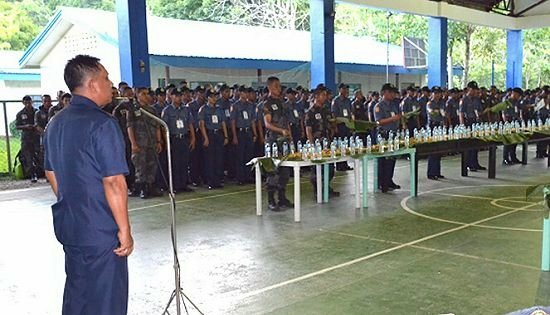 CAMP KANGLEON, Palo, Leyte – More than a thousand policemen will be deployed by Police Regional Office 8 (PRO8) as augmentation personnel to different police provincial and city offices’ even as it started sending troops to the three Samar provinces in a send-off ceremony last week and on Monday afternoon. “As PRO8 is fully committed for a Secured and Fair Elections, the need to properly address security concerns comes to the fore. It becomes imperative to optimize the utilization of manpower and logistical resources and synchronize security operations with our military counterparts, other Comelec deputized agencies and the stakeholders in general,” said Police Chief Superintendent Elmer Ragadio Soria, PRO8 Regional Director. Soria added that a total of 1080 policemen will be augmenting the different police stations as additional security forces in securing the transportation of Precinct Count Optical Scanner (PCOS) machines and security of polling centers on Election Day. PRO8 initially augmented 50 policemen to Calbayog City in Samar last week while 267 more personnel from the Regional Public Safety Battalion 8 (RPSB 8) were deployed to the three Samar provinces on Monday with 98 personnel augmented to Samar, 72 to Eastern Samar and 97 to Northern Samar. Other augmentation forces will be deployed starting May 8 coming from the Regional Headquarters, National Support Units and those undergoing mandatory schooling at the Regional Training School 8 (RTS8). Samar, identified as a priority area in the forthcoming polls, will be augmented by 342 policemen, followed by Northern Samar with an augmentation force of 216. Other deployment distribution is for Eastern Samar with 200 PNP personnel, Leyte and Southern Leyte with 100 personnel for each province, Biliran with 55, Ormoc City with 45 and Tacloban City with 22 augmentation policemen. “As the lead Comelec-deputized agency for law enforcement and security in Eastern Visayas for the midterm polls, safeguarding the welfare of the electorate and the entire community are our primary objectives aside from ensuring secure and fair elections,” the region’s top cop added. Eastern Visayas has a total of 2,576,250 registered voters who will troop to 3,773 voting centers with 17,328 established precincts and 5,135 clustered/grouped precincts on May 13 wherein 3,239 candidates are vying for different local elective posts. CEBU CITY – Vice President Jejomar C. Binay today said the home owners’ associations (HOAs) can be effective agents in the drive to eradicate graft and corruption in both the public and private sectors. Binay, who chairs the Housing and Urban Development Coordinating Council (HUDCC), was in town to attend a meeting with members of the different HOAs in the Central Visayas region to discuss their role in ridding the country of graft and corruption. The project was initiated by the Housing and Land Use Regulatory Board (HLURB) and was attended by around 1,150 members from some 350 associations in Region 7 with Deputy Ombudsman for Central Visayas Pelagio Apostol as resource speaker. “We want to elevate the consciousness of HOA members and empower them to become agents of change,” the housing czar said. He encouraged HOAs to report any anomalous transactions in the government as well as in private housing developers. “We all have a role to play. And it’s high time that the interests of homeowners are protected,” the Vice President said. “We want to prevent what happened with Globe Asiatique wherein our kababayans were defrauded of their hard-earned money,” he added. Binay said a similar meeting was scheduled with housing associations from Region 8 on May 6. “We are now looking for ways to try and replicate this in project in the entire country and we also want to tap other shelter agencies,” the housing czar said. HLURB chief executive officer Antonio Bernardo and Commissioners Ria Cabrera and Luis Paredes also attended the meeting. TACLOBAN CITY – A young Eastern Visayas lass ranked top 6 in the latest Overseas Workers Welfare Administration (OWWA) Education for Development Scholarship Program. OWWA Region 8 Director Norma del Rosario identified the successful examinee as Rannikka Ann S. Mondoñedo, a daughter of a seafarer OFW and a student of the Philippine Science High School – Eastern Visayas Campus. Director del Rosario disclosed that aside from Mondonedo¸ a lad who is also from Tacloban City also successfully passed the qualifying exam. He is Earl Antonell P. Doctolero, a brother of an OFW working in the Kingdom of Saudi Arabia and a student of the Eastern Visayas State University High School. Mondoñedo will pursue a bachelor’s degree in Clothing Technology in UP Diliman, while Doctolero chose to take up Bachelor of Science in Tourism, Hotel and Restaurant Management at the Leyte Normal University. Both scholars will be signing a memorandum of agreement with the OWWA later this month, Director del Rosario said. As EDSP scholars, the two young Taclobanons will receive from OWWA a P60,000 financial assistance per school year for a four or five-year baccalaureate degree course in any college or university of his/her choice. The tuition fee of the scholar is directly paid by the OWWA to the college or university while the remaining amount is given to the scholar upon submission of grades at the end of each semester. As announced by OWWA Administrator Carmelita S. Dimzon, for School Year 2013-2014, no less than 105 Top Examinees out of the 4,506 qualified dependents of OWWA members who took the exam, were selected. Administrator Dimzon said that the program is a way to empower the youth. OWWA believes that education is the leverage between the rich and the poor. These scholars should serve as an inspiration to other OFW children whose ultimate goal is not only to help their parents, but make them proud of their achievements, the OWWA Administrator said. Every year, the DOST-SEI simultaneously conducts the EDSP qualifying exam in Manila, Batangas, Pangasinan, Cavite, Davao City, Laguna, NCR, Iligan City, Tagbiliran City, Naga City, Iligan City, Negros Occidental, Butuan City, Bataan. The same examination is also administered in Riyadh and Jeddah, Kindom of Saudi Arabia, and the State of Bahrain. Qualified applicants for the EDSP are sons and daughters of active OWWA members. Siblings not older than 21 years old of unmarried OWWA members may also apply for the said scholarship. MANILA – In an effort to educate the public on how to select candidates who will stand up and fight for the rights of children, ‘Bata Muna’ campaigners presented a checklist of a pro-children candidate for the upcoming 2013 national elections during the concert held yesterday, 27 April 2013 in Quezon City. In the checklist, a pro-children candidate must have a concrete platform that advances the rights of children especially the most vulnerable children; already stood up for children and their rights and continues to do so; value children’s involvement and participation; one who thinks and acts independently for the good of the majority especially of children; not corrupt; has not violated any children and human rights; and must be progressive – one who thinks of the present and the future generations. The “Bata Muna: Bomoto para sa Kapakanan ng mga Bata” campaign seeks to put children in the center of the coming elections. Early this month, the Bata Muna Caravan was launched and gave children spokespeople from organized children’s groups the chance to personally talk to candidates and share their priority issues surrounding access to education, safety and welfare of children, access to sexual and reproductive health education and services, and children’s participation. Unfortunately only 9 candidates and partylists granted the dialogue out of 36 Manila-based candidates who were sent invites. This included Sen. Ramon Magsaysay Jr., Aquilino ‘Koko’ Pimentel III, Greco Belgica, Paolo Benigno ‘Bam’ Aquino IV and Francis ‘Chiz’ Escudero, and partylists Kabataan, Akap Bata, Bagong Henerasyon and Akbayan Citizens Action. Bata Muna, which is composed of more than 30 children’s organizations and networks nationwide are thankful to the candidates who faced them. “While all the issues of children are not totally supported by the candidates we visited, we are grateful that they listened to the children,” said Deborah Carmina Sarmiento, Save the Children Policy Advocacy Manager. “It was a learning experience and a great opportunity for the children to learn and somehow be involved in an electoral exercise, even if they still cannot vote and choose their candidates,” she added. According to Sarmiento, the Bata Muna campaign will continue reaching out to candidates who do not have the same views on their advocacies. “At least, the candidates who faced us gave us the opportunity to understand where they are coming from. We see this as an opportunity to continue dialoguing with them,” she explained. Bata Muna campaign activities are being held nationwide, most recently in Bicol and Sarangani where children voiced out their issues during caravans and media briefings. The concert dubbed “Sa Mayo 13, Bata Muna!” organized by the Children talk to Children About the UN CRC (C2C) Project, a project being supported by Save the Children, which gathered more than 1,000 people presented Bata Muna’s checklist of a pro-children candidate and the children’s agenda on child protection, health, education, poverty and participation and the views of senatorial candidates’ and partylists on these issues through songs and dance numbers. It featured local bands Soapdish, UNICA, Silent Sanctuary, Parada, Nyte in Tunesia, and Bata Muna’s very own Zone One Band. MANILA – Environmental group Greenpeace says that Energy Secretary Jericho L. Petilla has revealed his true bias against Renewable Energy by opposing solar power proposals in Mindanao. Petilla argued that RE projects take longer to build and may be more expensive in the long haul. Since the passage of the Renewable Energy Law in 2008, Greenpeace has been advocating for an Energy [R]evolution scenario for the Philippines, where a massive shift to Renewable Energy and energy efficiency measures would wean the country away from the rising costs of fossil fuels. Five years since the law was enacted, coal fired power plants are still being approved, consequently edging out any opportunity for RE to be harnessed and mainstreamed. Greenpeace notes that of the 48 solar energy contracts currently up for review, the DOE has only awarded just one solar energy service contract for pre-development. In January, Greenpeace released a report that illustrates how RE can generate more jobs and investments in the country. The Green is Gold report mapped out the country’s vast potential for Renewable Energy, in this case, how the Mindanao grid could be RE-powered by as much as 57.16% if measures are quickly implemented, rising to as much as 77.34% by 2020. Greenpeace also debunked misconceptions that Renewable Energy is more expensive than coal. Abad said that the true cost of coal – which is not included in the accounting ledger or business cost model of coal proponents – are human illnesses, displaced communities, destroyed livelihoods, mining accidents, acid rain, smog pollution, water scarcity. This is where the government, as well as some independent power producers, have failed to grasp the economic realities of coal-fired power plants. 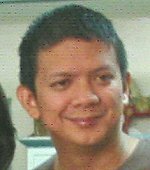 PASAY CITY – Senator Chiz Escudero submitted to the Senate secretary his statement of assets, liabilities and net worth (SALN) Thursday to beat the April 30 deadline and with it a signed waiver on secrecy of bank deposits in line with his transparency challenge issued earlier to public servants. The Code of Conduct and Ethical Standards for Public Officials and Employees (RA 6713) requires all government officials and personnel to submit sworn SALN documents within 30 days after assuming office and not later than April 30 every year thereafter. Along with his SALN submission, Escudero said he is reiterating a challenge to his peers in the Senate and candidates for the elections next month to execute bank secrecy waivers to give the Office of the Ombudsman a free hand to look into questionable bank accounts both here and overseas. “Even in the absence of a law, candidates particularly those running for Senate seats have the obligation to execute bank secrecy waivers to observe the standard that was applied to former Chief Justice Renato Corona by the Senate impeachment court in issuing a guilty verdict that led to Corona’s removal,” Escudero said. Legislators and those aspiring to be members of Congress would adhere to the principles of transparency by filing their SALN and with it a waiver on secrecy of bank accounts, Escudero said. 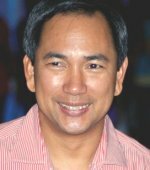 He said candidates for elective positions should make it a commitment to Filipino voters the execution of the secrecy waiver as proof of their honest intent in rendering public service and as an assurance against theft of public funds. “The challenge on transparency should not be treated as child’s play. Those who consider themselves as leaders do not need to be prodded to do something right,” Escudero said. “I think signing the secrecy waiver is an obligation that each of us should do in the coming days prior to the elections,” Escudero said. “Those who have nothing to hide has nothing to fear from my transparency challenge,” he added. CEBU CITY – Comprising 80 percent of the voting population, the Filipino youth can make a difference in the May 2013 elections and even shape the future of the country. The April 20 episode of “Pagtuki”, the official radio program of Ramon Aboitiz Foundation Inc. (RAFI), tackled the youth’s role in achieving an accountable and transparent national and local elections. “There’s so much that the youth can do, especially in choosing the future leaders of our country,” Erwin Chua Andaya, assistant secretary of the National Youth Commission (NYC)-Visayas said. According to data gathered by the NYC in 2010, only one out of four youths want to participate in the elections and two out of five youths want to vote. Meanwhile, 90 percent of them believed that corruption is the number one reason why many Filipinos remain poor. “The most important thing to do is to give them the right information and make known to them that their votes really count,” Andaya added, stressing the need for young Filipinos already qualified to vote to register. NYC launched an activity that will bring registration precincts to colleges and universities and the Precinct Count Optical Scanner (PCOS) machine to established malls to orient and encourage the youth to exercise their right to vote. Mariejo Sevilla, Political Science student at the University of San Carlos, recognized the enthusiasm of today’s young people as a tool for social change, particularly in ensuring just and honest elections. Sevilla cited ABS-CBN’s “Boto mo, Ipatrol mo” as a platform for the youth to be actively involved as voters. The Political Science Department of USC has partnered with ABS-CBN in promoting youth participation in the elections. She also shared how, as a scholar of RAFI’s Young Minds Academy Season 6 (YMA), her team was assigned to make a research on the platforms of a specific running party and roll them out. A recent initiative to educate voters is the Mega Cebu Candidates Fora, which started last April 10. Carol Ballesteros, Mega Cebu communications and stakeholder relationship manager, explained that the Mega Cebu Candidates Fora is not a debate but a venue for candidates to lay down their respective platforms and stand on issues being addressed by the Mega Cebu project. The said project is a 30-year master plan program and framework for a long term and collaborative planning and action towards a more sustainable city-region. “Each candidate will present his or her programs and top priorities for Cebu and we will see if their plans are aligned to the vision of Mega Cebu for 2050,” Ballesteros remarked. The Mega Cebu Candidates Fora will hold sessions on April 25 and 29 at the Cebu Cultural Center, Gorordo Avenue, Lahug, Cebu City. This will highlight electoral candidates from Cebu City, fifth and sixth districts of Cebu Province, and Lapu-Lapu City. Pagtuki is aired over DyLA every Saturday at 10-11am. The program, which is one of the Knowledge Sharing & Advocacy capabilities of RAFI, tackles timely and relevant issues on community development, politics and governance, micro-financing, education, environment, early childhood care and development, and culture and heritage that affect the Cebuano community.